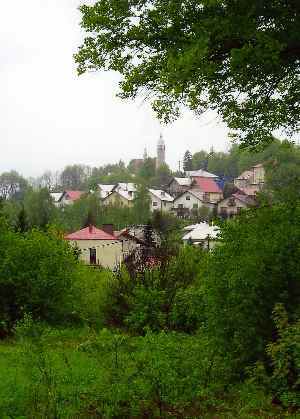 Frysztak is a small shtetl located near Strzyzow, Jaslo and Krosno, in southern Poland. The exact coordinates are latitude 49° 50´ longitude 21° 37´. Frysztak was in Galicia, an Imperial Province of Austria Hungary, from 1776 to 1919. It was then returned to a newly re-created Poland. The cities and towns surrounding Frysztak are (clockwise): Rzeszow (23 miles NorthEast), Czudec (13 miles NE), Strzyzow (8 miles ENE), Niebylec (13 miles East), Domaradz (15 miles E), Lutcza (13 miles East), Korczyna (12 miles SE), Krosno (13 miles SE), Jedlicze (9 miles South), Jaslo (9 miles SW), Wielopole (8 miles North) and Wisniowa (4 miles NE). Each of those towns underlined above have a shtetl page which you can also visit. If you're looking for family, this is especially important, because in those days most Jewish marriages were arranged with Jews from a nearby town. 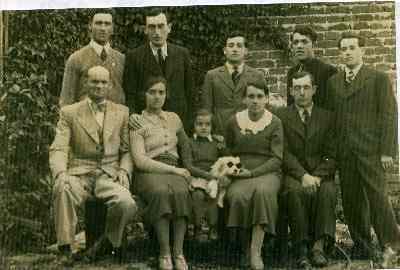 We've put this web page together in memory of those who lived and died in the shtetl, in order to describe to descendents what it was like to live in Frysztak. I hope you will find this page interesting and helpful. Please contact me if you have photographs or stories or information to add, or any questions (just click on my name). As with any genealogical research, this is an evolving project. click to return to the JewishGen Home Page. And Please note that this site exists because of your Jewish Gen-erosity. Your tax deductible donation to JewishGen makes these services possible. We spent a lot of time organizing this information so that your genealogical search might be more rewarding....and you can reward us -- just click on Jewish Gen-erosity. Area Map: If you are visiting our page because your family came from Frysztak remember that often marriages were arranged between families from neighboring towns (rule of thumb: within 20 miles), so you may well find information on your surnames where you least expect it. The map on the right shows the area of southern Poland today with many of the area towns...each one circled has a shtetlinks page! Want to put your Frysztak tree here?? Just send me your Frysztak tree! Find Other Researchers looking for your Surnames & Towns!! -- JewishGen's Family Finder (JGFF). Do you have roots in Frysztak? Would you like to connect with others researching the same community? Click the button to search the JewishGen Family Finder database.You may need to register, but i promise you, its painless, and by registering, others will find you…so it’s worth the few minutes!! Yad Vashem To view over 3 million Pages of Testimony. The Polish King, Casimir, "the Great"- established the city of Frysztak, near Krosno, in 1366. The city soon passed into the hands of the monks. The original inhabitants were German colonists. The city grew at a moderate pace but suffered terribly during the Swedish wars in the 17th century. Most of the German settlers and their descendants slowly left Frysztak. The economic stagnation of the city continued until the railway reached the city. Frysztak was deprived of its municipal status following WWI. 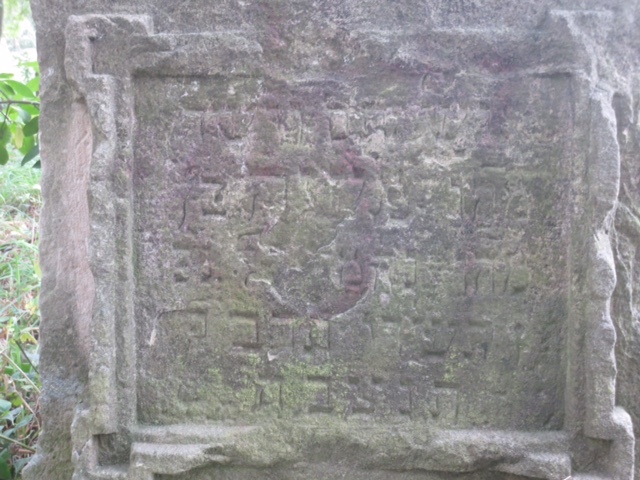 The first Jews appeared in Frysztak or Fristik (in Yiddish) in the 15th or 16th century. 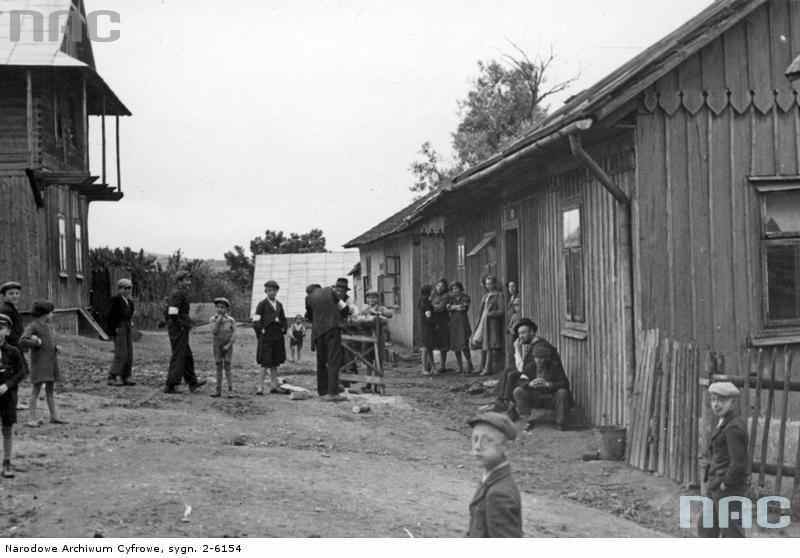 The number of Jews steadily increased as the German settlers left. By the 17th century, the Jewish kehilla was already well established and provided services to the members. The burial society registered all deaths as of 1770 until the Shoa. The census of 1765 indicated that the kehilla had a membership of 97 families who lived in Fristik and the surrounding area. At that time the Jews comprised a majority of the population of the city. The non-Jewish population lived on the outskirts of town or nearby villages. The administration of the town was always in the hands of the Jews, even the Polish government appointed Hersch Yaari as the head of the local government. Frysztak had one pogrom in 1898 that the Austrians severely suppressed. Jewish-Chrisatian relations remained calm until WWII. The economic situation of the Jews in Fristik was similar to the one in other Galician towns. Poverty was rampant throughout the village. No industry to speak of, few job opportunities and little hope. WWI totally pauperized the village. The American joint organization had to step in to help the local Jewish population. It also established a medical clinic and provided some vocational training for young Jews. Slowly the economic situation improved. The local Jewish population was known for its extreme piety and fought very hard against Zionist intrusion to the extent of burning the first modern Jewish library. The Halbershtam/Halberstam rabbinical family provided the rabbis for the village. The last rabbi of Fristik was Rabbi Haim Baruch Halbershtam who perished in the Shoa. Lemburg, Austrian Galicia, June 17-gangs of peasants yesterday attacked and plundered the Jewish shops at Frysztak, near Rzeszow, and wounded several Jews. The police fired on the mob, killing six of the rioters and wounding five more. Nine persons were killed during the rioting. A general panic prevails, and troops have been hurried to the district, where other serious excesses have occurred. The following was taken from the web site of the Polish Genealogical Society of Texas: It was adapted from Slownik Geograficzny, published around 1900 and translated by Michael Kurtin. FRYSZTAK: with Glinik Dolny, Pulanki, and Twierdza, is a town in Jaslo county with an area of 1,558 morgs; 134 houses, 590 male inhabitants and 607 female, for a total of 1,197, of whom 416 are Roman Catholic and 779 Jewish. It is the site of the county court, a notary's office, a military police post, post office, deanery office covering 6 parish, and a parish office. The church is wooden, its date of construction unknown; it is dedicated to the Birth of The Blessed Virgin. There is a 2-grade public school with three teachers, a match factory, production of grease and turpentine, a fair every other Thursday and particularly lively in spring, when many working horses and cattle are sold at it. 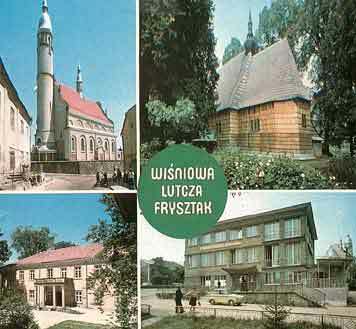 We've collected a number of photographs of Frysztak and we hope you enjoy viewing them. If you have one that's especially pertinent, please feel free to send it along (either as a photo or in jpeg format). Please email Phyllis Kramer. We are seeking photographs taken long ago; of Frysztak Streets and markets and people. The second contains the Synagogue, which Tomasz said came from the Frysztak Library. You can email Tomasz by clicking here. The Business Directory of 1923 shows that Frysztak Jews were not illiterate farmers, but included many tradesmen and well-educated professionals. FRYSZTAK - (in polish and french): Miasteczko, powiat Frysztak, sad powiatowy Frysztak, sad okregowy Rzeszow, I 357 mieszkancow, (picture of train) 1 km linja kolejowa Jaslo Rzeszow; urzad miejski, 1 (picture of church) 2 synagogi, Szpital epidemiczny. Stow, kupcow I Przemysl, stow. Rzemieslnikow. Targi: co tydzien ogolne. Fabryki wyrobow cementowych. Petite ville, distr. De Frysztak, trib. De distr Frysztak, trib. D'arr-t Rzeszow, I 357 habit. English: Small town, Frysztak county, county court headquarters, district court Rzeszow population 357. 1 km. of railway: Jaslo-Rzeszow. City hall 1 cathedral, 2 synagogues, hospital. Merchants' association, craftsmen`s association. Market day: weekly, all types of merchandise. Cement factory. The following trades and tradesmen were listed, first in Polish, and then in french; in addition, we have translated the trades into English. Adwokaci ( avocats : lawyers ): M. Kaczkowski dr.
Kasy pozyczk.-oszczedn. ( caisses d`emprunt et d`épargne: credit unions): Zaliczkowe, Sp. z o. o. - Ukrainska Kasa Kredytowa, Sp. z o. o.
Kominiarskie przedsieb. ( entrepr. de ramonage : chimneysweeps) : M Tyrlok. Kamasznicky ( tiges p. chaussures : boot makers): Diamant S.
Nafta ( petrols : oil ): "Zanger"
Zboze ( grains : grains): Priwler I. - Schreiber L.
Thanks to Stephen Morse's wonderful Ellis Island Front End, where one can query the immigrants by town, I was able to assemble a list of immigrants from Frysztak. It was fascinating to observe the different spellings of the town and the surnames. Just as a reminder, Frysztak was part of the Austrian Empire (imperial crownland of Galicia) from 1776 to 1919; then it became part of Poland where it remains today. This might explain some of the different nationalities we find below. *You may wish to go directly to the manifest (see instructions below,) as depending on the year, the town may be the town of birth, or, more likely, the "last permanent residence". Click on the Gold Passengers Query. Another good resource is the JewishGen Community page with links to many databases (see table of contents). 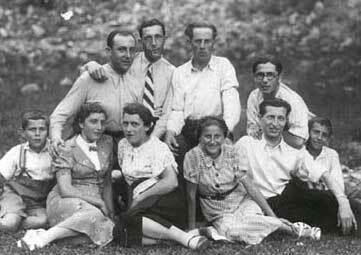 This photograph was taken in Frysztak around 1935; it delightfully shows members of the Frysztak community. Mordeche (Max) Stein was born March 18, 1897 in Frysztak, Austria. He was one of six children born to Chaim "Stein" and Malka (Miriam) "Maltz" Stein. Max's siblings were Abraham (Abe), Genedel (Gerte), Leibush (Lichu), Mendel, and Hinde. In June of 1910 Abe Stein born 1893 arrived at Ellis Island aboard the Kaiser Wilhelm Der Grosse . He established a dairy business on Houston Street on New York's lower East Side. In December of 1913, his sister Gerte born 1892 arrived on the Kaiseren Auguste Victoria. She later married Irving Sturm. In July of 1921 my Grandfather Max arrived in the US aboard the Berengaria. He was 24 years of age and had $40 with him at the time of his arrival. Max worked with his brother Abe for a few years before setting off on his own share of the American dream. The other siblings remained in Europe along with their mother Miriam. Chiam Stein reportedly died when Max was a young boy, circa 1905. Miriam Maltz Stein's parents were Chiam Hersh Maltz and Frede Pesel "Wallach" (Walach, Wallick, Wallish). Miriam Maltz Stein was alive as late as 1932. Miriam was one of 5 children born to Chaim Hersch Maltz born 1837. Reportedly a large land owner in Frysztak, upon his death his son Israel (Izzy) took over the family business of building supplies and lumber. Miriams siblings were Rivka , Reizel , and Chaskel. Chaim Stein's parents are unknown at this time. My name is Elli Epstein and I live in New Jersey. I would appreciate any information about the Neumann Family from other family members or landslite. My mother, Chave Neumann, was born in Frystik. Two brothers, Simcha Mayer and Shimon came to the U.S. before the war. (The photograph below is the Neumann family with cousins; it was taken in Frystik in 1937). A sister Ita and brother Yankel remained in Frystik. Below left is a photograph of Chave, Yankel, Elli and Ita Neumann, Frystik 1937. Below right is the wedding photograph of Ita Neumann and David Findling, taken in Frystik shortly before the war. Elli...I received the following note from Maria Brilliant in Israel. She wants to contact you. Please email her. I am David Findling and my father, Fred Findling is a survivor. I have been trying to fill in more of his family tree but have struggled. My grandfather, David (Dawid) was born in Frysztak in 1901; he died in a group execution in a Polish field near Frysztak. My grandmother, Etla died at Auschwitz. My father became a refugee around age 8 and came to the U.S. at 10. I have searched on JewishGen, the multiple databases, the Galicia site, Ancestry and others. My father is nearing the end of his life and I would love to fill in his family tree for him. As with other survivors, my father went back to Europe in the 50s to find family. He was able to connect with his first cousin (on his mother's side) Joe Kirchenstein and an uncle, Charles Gordon (Chaskiel Gottesdiener), but noone from his father's side. My brilliant sister, Debbie also searched in Poland for answers. 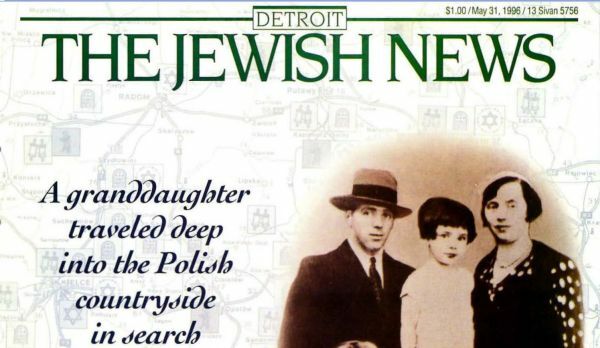 You can read about her search in the Detroit Jewish News article, "A Path To The Heart"
I would grateful for any assistance or direction you can offer. I just thought I'd pass along a couple of Frysztak connections that have emerged as I have continued to research Maurer/Mahrer ancestry in Jodlowa, which is about 20 miles to the west. One Mahrer cousin, Zvi Naftali Mahrer, son of Moshe Mahrer and Blima Gass, went to Frysztak (Kalembina) to marry a Beim girl. Zvi Naftali's wife was Miriam Beim. Go ahead and put something on the kehilalinks page. The girl may be from the family listed as Bein in the 1923 business directory and in the list of pre-war residents. Zvi Naftali and his wife had several children, one of whom got to the US in 1935. I am in touch with that one's daughter. The rest of the family didn't make it. In the opposite direction, Fiszel Neubart from Frysztak (Huta Gogolowka), son of Rubin Neubart and Lea Weintraub, went to Jodlowa to marry another Mahrer cousin, Feiga, the daughter of Szimon Mahrer and Rywka Siegfried. The marriage was in 1921, and the couple went on to have 3 daughters. I don't know what happened to the family in the war, but my assumption is they perished. I did note a Mirla Neubart on the list of emigrants that you posted on the shtetlinks page. I investigated, and she turns out to be Fiszel's brother. Needless to say, I would love to track down descendants, if there are any. If you happen to know anything about her after her arrival in NY, that would be a huge help since she is proving elusive so far. 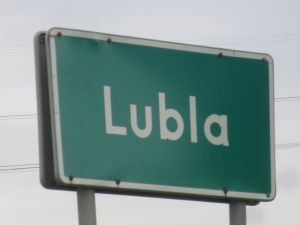 Lubla is a shtetl/village located about 2 or 3 miles north of Frysztak. I stopped in Lubla in August of 2013. My great uncle, Harry STEIN, was born in Lubla, Septeber 17th, 1879 to Peron David Stein (1849-1902) and Gertrude Brandt Stein (1850-1913). Uncle Harry Stein went on to become a leading businessman in Passaic, New Jersey. He was instrumental in the early motion picture industry in Northern New Jersey; then a real estate developer and at his death in 1952 the largest individual taxpayer in the city. The ten children born to Peron and Gertrude in Lubla were: Jacob, Leon (1874-1961), Samuel, Bertha (1869-2929), Bernhardt, Edward, Max Anna, Harry (1879-1952) and Lieb. 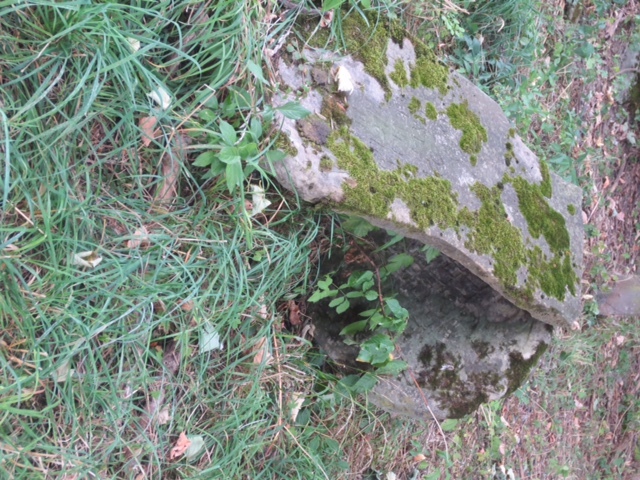 The photographs taken are at the abandoned Jewish cemetery located on the western side of the road behind a group of small stores. The cemetery is located on a slope and there is no care or maintenance. The Germans occupied the village on September 8th, 1939. A week later, the second day of Rosh Hashanah, they surrounded the synagogue, killed a few congregates, burned the holy scrolls and took some hostages that were shot on the road. The Germans soon created a Judenrat and a Jewish police force to enforce their policies which consisted of seizing Jews for hard work. Jews worked on the roads, railroads, on the foundation for the headquarters of the German Army in Stampina. The demand for labor was so great that Jews from Warsaw were braught to Frystik. The German company of "Askania" was the big employer and starved the Jewish workers. Many of them died in the typhoid epidemic of 1941. Then the Germans began to send the Jews to various labor camps in the area. The lot of the Jews was harder by the day. Starvation, disease and misery was their lot. Then the Gestapo of Jaslo shot 250 Jews in the forest near the village of Krajowica. Most of these Jews were from Fristik. The Gestapo then decided to close the ghetto of Fristik and sent all the Jews by trucks to the ghetto of Jaslo. This action lasted from August 16 to August 18, 1942. In the ghetto of Jaslo, the Jews of Fristik were immediately surrounded and shipped to the death camp of Belzec where they arrived on August 19 to August 20,1942. Some Jews were sent to the ghetto of Przemysl and Rzeszow where they shared the fate of the local Jews. 35 Jews were left in Fristik to clean the area of the ghetto and then were sent to the ghetto of Przemysl. The Germans and their local supporters searched constantly the area for hidden Jews that managed to escape their actions. Many were discovered and shot, as well as their protectors, some managed to survive and tell the story. Thus ceased to exist another established Jewish community in Galicia, Poland. May the memory of the Jewish community of Fristik be inscribed forever. Frysztak Ghetto: Established in 1942, liquidated on Aug. 18, 1942. Inhabited by the Jew. population of Frysztak and by a few families of the III Reich. All together about 1,600 people. They worked in quarries and at the construction of roads. On July 3, 1942 850 people were taken to Warzyce, where they were probably shot. In August the remaining people were taken to Jaslo. Return to Table of Contents This KehilaLinks page was created Phyllis Kramer, V.P. of Education, JewishGen Inc; you are visitor: If you have any questions, comments or additions, please email me by clicking here.